Not a guidebook, no maps, no long-winded legends or history – just lots of stories and helpful suggestions to anyone planning their first Camino or just waiting to go back. 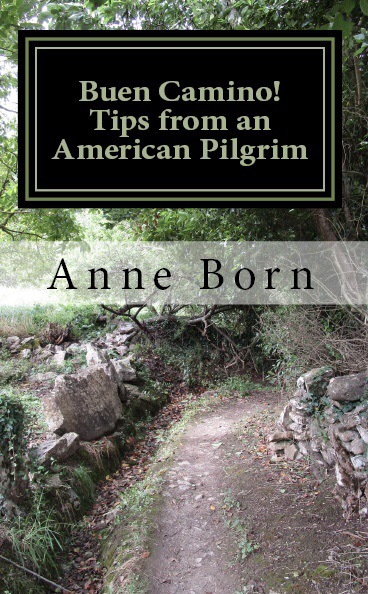 Geared toward American Pilgrims, this book is a must-have, must-read. It’s the perfect companion to your standard guidebooks, like John Brierley, the Confraternity of St. James guidebooks, or Wise Pilgrim. Look for it on Amazon ($6.99 US) in paperback and January 8, 2018 on Kindle! Also available on Barnes & Noble. What is it like? What does it cost? How do I pack? Why do folks do this?! Read the book – it’s full of stories, too. Posted in Camino Inglés, General Info. Tagged Amigo, backpacking, Camino, Camino de Santiago, caminodesantiago, Caminoprimitivo, camino_de_santiago, cathedral, France, hiking, knights templar, leon, littleoldladywalking, navarra, New York, pilgrim, roncesvalles, Sarria, Spain, the_abbey, travel, walking.